Portugal won the World's Best Tourist Destination award at the World Travel Awards. 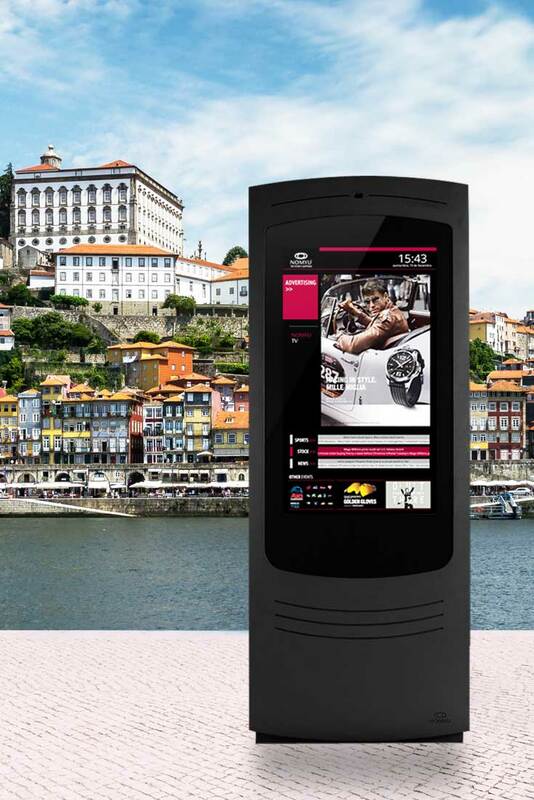 Like Portugal, NOMYU, the digital billboard of PARTTEAM & OEMKIOSKS, was also the winner of an important international prize, having been considered the most innovative Multimedia Kiosk in the tourism sector. The Secretary of State for Tourism, Ana Mendes Godinho, considered it to be a "unique moment for tourism in Portugal". According to Monocle magazine, which has a special 64-page notebook on Portugal, "tradition is the secret ingredient in the success that Portugal is experiencing." The Portuguese essence is the past that meets the present. Something that is already present in Portuguese DNA. The quality, the commitment, the professionalism, the requirement, the efficiency. These are some of the adjectives that describe the essence of the Portuguese group PARTTEAM & OEMKIOSKS, which is proud to continue the manufacture in Portugal of interactive kiosks and digital billboards, for outdoor and indoor. PARTTEAM & OEMKIOSKS is a benchmark for success, both nationally and internationally. This experience is only possible due to the highly qualified Portuguese team, partners and distributors who work with us worldwide to meet the demands of the market and the technologically projects. WE ARE THOSE WHO BELIEVE IN THE FORCE OF PORTUGAL WORLDWIDE !